If you like this post, share and comment please. 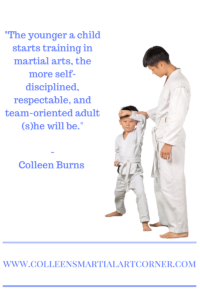 Please like and share if you got value from Martial Arts Teaches Children to Be Better Adults. Previous Post What Is Your Favorite Martial Art Movie? Hello Norberto! Thank you for your compliment. I appreciate it very much! And thanks for stopping by! Thank you Winford! I appreciate your visit. May you enjoy many more posts to come! Thank you Arlette! Glad you have enjoyed my posts. Thanks for your visit! Have a great day!